Like all areas of the country, Chicago has its fair share of storms throughout the course of an average year. Whether it’s torrential rain in the summertime or a massive snowstorm in the winter, the end result can be flooding and water damage for tens of thousands of people. If you have been the victim of Chicago area storm damage, it’s important to contact a professional clean-up team immediately. ServiceMaster of Lincoln Park offers storm damage restoration services that are second-to-none. Our world-class team of experts is ready to solve even the most serious of water damage problems so you can move on with your life. 24/7 Emergency service. Never wait! When a storm hits and you start to incur water damage on your property, call us ASAP. We’ll get to you promptly and begin to take action. Our goal is to minimize the storm damage by cleaning up as effectively and efficiently as we can. We’re the leader in the Chicago area for storm restoration for a reason. We work hard. Our team members are serious about cleaning up storm damage, and we won’t quit until the job is done. This commitment has led to a stellar reputation over the years, and we’re proud to partner with all our clients. Our clean-up storm damage experts have had extensive training in the proper ways to restore property that has been damaged by water and flooding. We utilize the latest technologies, tools, and products to give you a first-class outcome — every time. Call our locally-owned and operated ServiceMaster of Lincoln Park at the first sign of any type of storm damage. We’ll be right by your side to help you through this crisis. 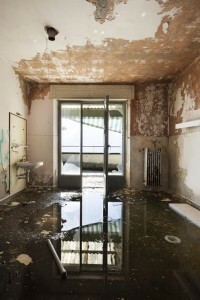 Water damage clean-up: Water is, by far, one of the biggest worries when it comes to storm damage. Our water damage clean-up methods are proven and can help you bring your property back to its pre-storm condition. Mold remediation: This effectively destroys any mold or mildew that has been fostered due to storm damage. Fire damage clean-up: Sometimes, a storm leads to a large or contained fire. If fire damage is part of your overall storm damage, we can help. Of course, we can offer other services as well. We’ll give you detailed feedback and assist in creating a storm restoration plan, when you contact us to discuss your storm damage. Call ServiceMaster of Lincoln Park in the Chicago area. Before moving anything or trying to do anything yourself, call a professional with experience in these situations. We will be able to walk you through next steps and help make you feel more at ease moving forward in the chaos and stress. Turn off the electricity. If you can safely and securely turn off the electricity to the water damaged area, do so. If you cannot, make sure you do not go into the water or touch anything that has been damaged. Take pictures of the storm damage but keep your safety in mind. If you have to snap photos from far away, that’s fine. Remove easily accessible items from your home. After the electricity has been completely turned off in the flooded area, you may want to remove some smaller items, or items floating in the water. Have a plan for either disposing of these, cleaning them or drying them out. Whenever you feel it’s necessary to throw something away, you may want to document the process. This can help you put a price on the objects that you have lost to storm damage. Contact your home or renter’s insurance provider. Carriers differ in the ways they like to receive claims for storm damage, so be sure to find out how to make yours. In Chicago, ServiceMaster of Lincoln Park can help you with this process, as we’ve done for many clients. Be patient with the situation. It can take days, weeks or even months to fully restore your home after a major flooding or storm event. The length of time to dry and clean a property depends upon the extent of the damage incurred. ServiceMaster of Lincoln Park will always give you our best estimate so you can plan accordingly. Should You Move out of Your Home or Apartment During Storm Restoration Processes? Would anyone be at risk if you stayed in your structure? Are you or someone else in the household susceptible to mold, mildew or dust? Was the storm damage relegated to a small area of the home that could be closed off, such as the basement? Or did it affect a larger part of the residence or building? Has your professional restoration clean-up team indicated it might be better for you to be offsite during the bulk of their cleaning? Do you feel their work will affect your ability to live comfortably? Was the storm damage so great that you cannot use parts of your home you consider necessary, such as the bathrooms, kitchen or laundry? Do you still have electricity and water service to your property? If not, can you realistically wait for it to come back? Whether or not you decide to move in with a friend or family member, or stay at a local hotel, is up to you. In some cases, insurance carriers will pay for this necessity if your storm damage claim is accepted. This means you may be reimbursed for some or all of your temporary relocation costs. For any other questions you may have, contact ServiceMaster of Lincoln Park Chicago at (773) 219-0686 or click here to get in touch with a professional.